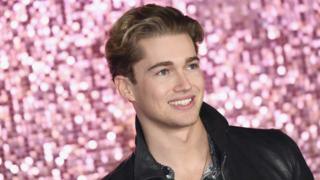 Strictly Come Dancing pro AJ Pritchard and his younger brother have been attacked at a nightclub in Cheshire. A statement from their family said it was an "unprovoked" assault on a night out with two friends in Nantwich on 27 December. Curtis Pritchard, also a professional dancer, requires knee surgery and will miss the upcoming series of Dancing with the Stars Ireland. Cheshire police have released a statement: "Shortly after 2am on Thursday 27 December officers were called to reports of an incident at a night club on Welsh Row, Nantwich. "Officers attended the scene and found that four men, three aged 22 and one aged 24, had been assaulted. "The victims sustained a number of injuries as a result of the incident and were taken to Leighton Hospital for treatment. All of the men have since been discharged. "Enquiries in relation to the incident are ongoing and officers have arrested a 20-year-old man from Crewe on suspicion of assault; he has since been released under investigation pending further enquiries." AJ's fans have been wishing him well on his latest Instagram post. AJ was partnered with Paralympian Lauren Steadman for Strictly Come Dancing 2018 and reached the semi-final. Curtis was due to appear on the upcoming Dancing with the Stars Ireland which launches next Saturday, but, due to his injuries, he won't recover in time. Strictly Come Dancing final: What makes a winner?